Reading is one of 10 World Class Start centres across the UK. This ground-breaking talent identification programme was established in 2001 with funding from the Lottery Sports Fund with the aim to build the future of the GB Rowing Team by identifying and developing potential Olympians. Reading Rowing Club is the host of the Reading Start centre. This means that the rowers on the Start programme are members of RRC and are fully involved with the club’s activities, representing the club when racing at local regattas or trialling for GB teams, as well being involved in the social aspect of the club. The relationship that Start has with the host clubs is vital to the success of the programme and provides valuable support to the Start coaches and rowers. Start has been based at Reading since 2001, and this centre has shown itself to be one of the most successful in the programme with 16 athletes earning 46 vests for the Great Britain Rowing Team at Junior, U23 and Senior/Olympic level. Most noteworthy have been the two Olympic gold medals won by Alex Gregory in the Men’s Coxless 4- at London in 2012 and Rio in 2016. 2001-2006 – Start (at the time known as ‘World Class Start’) was initially based in Reading Rowing Club under the leadership of Mark Earnshaw, Olympic coach for Beijing 2008 and London 2012. 2006-2012 – Start moved over Caversham bridge to Reading University Boat Club, looked after by both Eira Parry and Don McLachlan. The move came due to an increase in University age athletes. 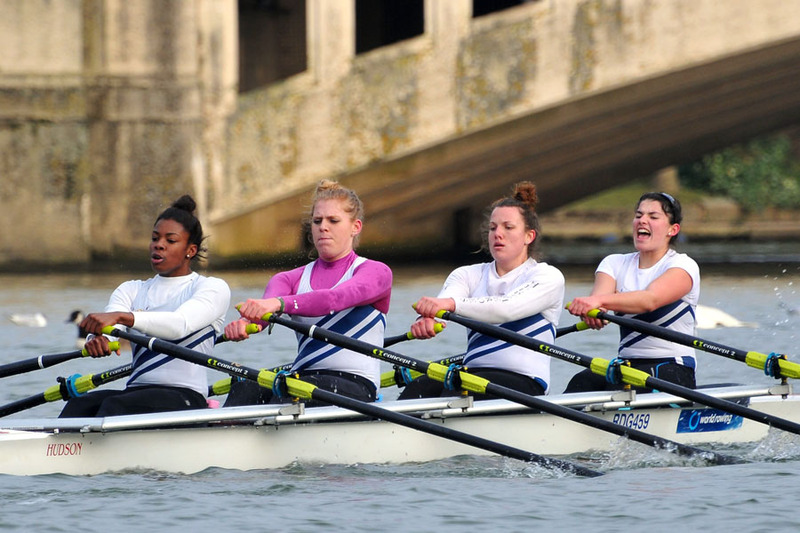 2012-Present – Start ‘returns home’ to Reading Rowing Club as the changing nature of the program looks towards developing junior (U19) athletes towards GB representation, fitting with the club’s strong Junior Program. Since returning to RRC the training group has had 3 international athletes and 7 international vests. Recruits to the programme will be based at Reading Rowing Club. The training is individualised to maximise each athlete’s rate of development, with athletes doing anything from 4 to 14 sessions per week depending on their age and experience. Water work is mostly done in 1xs, which are provided by the programme. Some work in also done in crew boats, both sweep and sculling, to develop those skills. There are weights and rowing machines in the boathouse for the land training. The proximity to Caversham, the training centre of the GB Rowing Senior team, is a benefit. As part of the training programme, rowers are required to attend the Start Testing Camps which take place throughout the year, bringing together coaches and rowers from all projects. Most of these camps are held at the National Water Sports Centre at Holme Pierrepont, Nottingham..
Ben Reed, the Start coach at Reading since 2018, has over 20 years coaching experience and has attained the Level 4 Certificate in Coaching Rowing with distinction. •	Ben has taken crews to five Senior World Championships, winning 2 golds (2011 and 2016) and 1 silver (2015) with the Lightweight Women’s 4x. •	While coaching at Wallingford Rowing Club Ben has coached 5 athletes into the GB Senior team: Kathryn Twyman (Senior world champion, 2011); Ellie Piggott and Bri Stubbs (U23 world champions, 2013 and Senior world champions, 2016); Gemma Hall and Ellie Lewis, as well as Lottie Burgess and Mary Wilson into the GB U23 team. •	Domestically, Ben’s crews won 7 British Championships trophies, 12 Henley Women’s medals and 16 Tideway Head pennants. •	Before that Ben also coached at Oxford University (8 Boat Race wins with OULRC and OUWLRC; 8 college Headships) and St Paul’s School (2 golds, 1 silver and 1 bronze at Nat Schools). Contact Ben at ben.reed@britishrowing.org if you would like to apply to be tested.